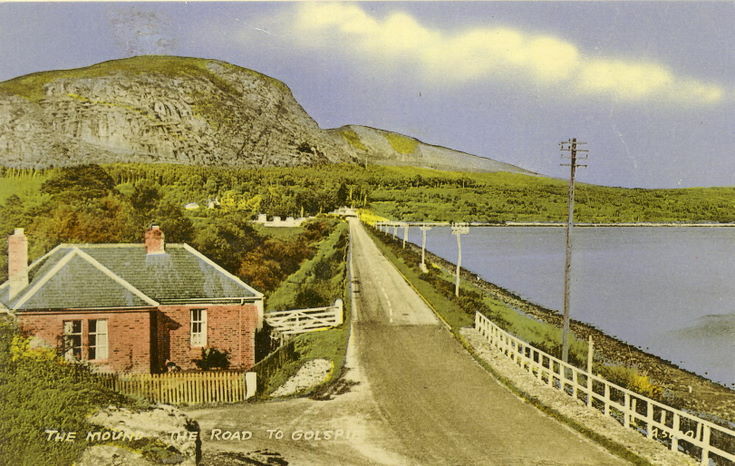 Colour postcard with the title 'The Mound - the Road to Golspie. From an album of postcards and photographs taken by Mrs J.I.C. Mackay of Dornoch and surrounding area. This photo must be later than 1950 as there are no rail lines crossing the road as there would have been then. Many thanks for your comment, I believe the tracks were removed in the mid 1960's and so will amend the date accordingly - Administrator.